As promised, here is the third post I wrote for the Kate Clifford series blog tour in July. Enjoy! The What that’s begged the Why: I set my popular Owen Archer crime series in medieval York, the first book beginning just past the middle of the 14th century, and now I’ve set the Kate Clifford crime series in the same city at the beginning of the 15th century. 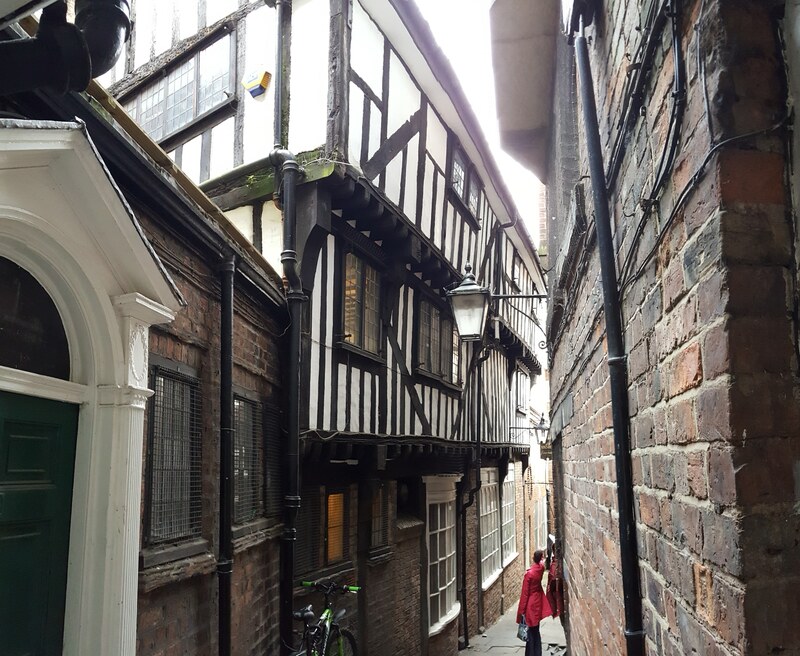 Why late medieval York again? Well might you ask. As Kate would say, it’s complicated. Answer #1: I have loved York from the moment I set foot in the city years ago while I was a grad student studying medieval literature. I felt the ghosts of the middle ages in the narrow streets and snickleways, and atop the medieval walls that still largely enclose the central part of the city. There is so much to explore there, and researchers are always digging up (literally and figuratively) more historical data. It was an important city in the late middle ages, with a powerful archbishop and a wealthy merchant population, so although some of the city archives for the 14th century were lost, events in York appear in other archives. Every time I visit I learn more. I never tire of it. It’s a joy to write about both York and Yorkshire. Fair enough, but why not just keep going with one series? Answer #2: When I set the first Owen Archer mystery (The Apothecary Rose) in the early 1360s, I was not aware of York’s involvement in the Lancastrian seizure of the Plantagenet crown in 1399 and the early years of Henry IV’s reign. Later, I groaned when I realized what opportunities for political skullduggery I’d missed. I didn’t like the idea of skipping ahead so many years to get to that period. There’s still so much in between to explore. And, to be honest, although Owen Archer could still be actively sleuthing in his 70s, it felt like a stretch. But as I just couldn’t let go of the opportunity to write about Henry’s haunted reign, I chose to start afresh with a new sleuth in 1399. The first Kate Clifford mystery (The Service of the Dead) takes place just as King Richard II refuses to life his cousin Henry of Lancaster’s exile upon the death of his father, and, in fact, declares that he has forfeited his inheritance of the duchy of Lancaster. No one expects Henry to ignore this challenge. Kate Clifford’s connection to this? It’s possible that a man murdered in Kate’s guesthouse was a political spy. In the second book, A Twisted Vengeance, as Henry lands in Yorkshire, in defiance of his cousin, the city of York prepares for a siege. Kate Clifford is not directly involved in the fighting, but her mother’s sudden return from the continent and an attack on one of the religious women who accompanied her brings suspicion on her family. And in the third book, Murdered Peace, Henry wears the crown, but he is far from secure. Has York changed in the gap between the two series? Answer #3: Enough has changed in York, including the structure of its government, that it feels fresh to me. And I’ve learned so much more from recent publications about medieval York that I can vary locations. 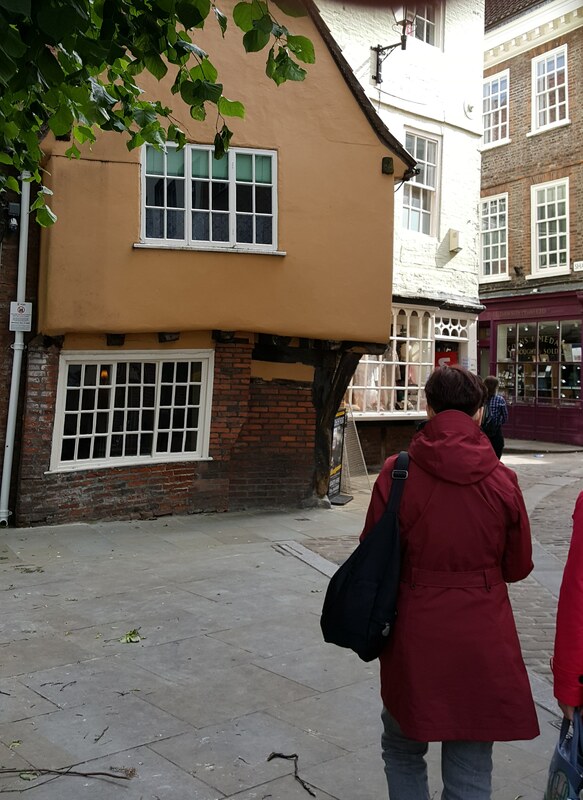 For instance, I placed Kate’s home in the first two books in an area of medieval York that new information transformed for me. I had not known that the wealthy Thomas Holme had gardens extending from his home on Castlegate to the River Foss. He referred to it as his “urban manor.” Kate lives next door. Answer #4: To answer the “late medieval” part of the question, the first response would be, it’s the period I’ve studied in depth and want to write about. But another reason arose as I began to work on the second Kate Clifford book. The gap in time between the most recent Owen Archer (1373) and the first Kate Clifford (1399) is short enough that the two series could share characters. Now Owen Archer characters are popping up in casting calls for the Kate Clifford novels. Only one was cast in the second book, but two more, with meatier roles, grace the third. Connected series. Why not?